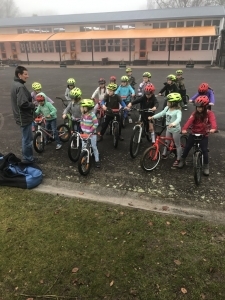 The children had an extensive lesson on learning how to check and fit their bike helmets. 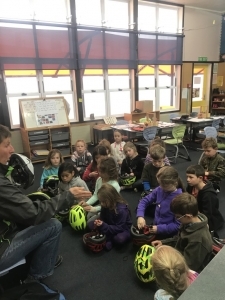 Kath showed Room 3 children a helmet that had been in an accident and reinforced the message “always wear your helmet”. Fitted up and ready to roll!